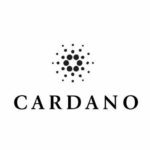 Home » Cryptocurrencies » Crypto of the year: Is Cardano destined to change the world? Crypto of the year: Is Cardano destined to change the world? A fairytale of a universal crypto allowing exchanging any digital tokens may soon come true. Even though creators of every other cryptocurrency describe their inventions with such superlatives, ADA seems to be really different. Along with the affiliated platform called Cardano ADA appears to be the only digital currency created on a universal soil. How much has the currency been affected by the strict criteria of the academic research? Oxford University, The University of Edinburgh, Karlsruhe Institute of Technology, but also Bratislava’s Comenius University and many other institutions took part in the development of a unique platform Cardano. Needless to add that Cardano and Ada are not absolutely universal things. The commercial interests of the platform and the related cryptos are backed by Input-Output Hong Kong (IOHK), an organization involved in funding the development. Promotion is the responsibility of Cardano Foundation; while Emurgo is in charge of the development of decentralized applications called „dapps“. Cheap operation of the platform should be achieved by low energy consumption. Coins are mined and decisions are made via a proof-of-stake algorithm in a language called Haskell, instead of a proof-of-work system. Based on the calculations, the consumption of the transactions processing system should be much lower than of a bitcoin blockchain. On the other hand, the safety standards should remain the same as of bitcoin. Unique is also the principle of operation. The Ada cryptocurrency operates on its own blockchain called the Cardano Settlement Layer (CSL). The CSL is an accounting layer and supports ledger transactions. A second layer called the Cardano Computation Layer (CCL) will support smart contracts and decentralized applications. Both layers are supposed to work more or less independently. The reason is to facilitate the adoption of new measures. While CSL is already in operation, the launch of CCL (and the roll-out of a new decentralized transaction system) is planned for 2019. Coins are mined and decisions made via a proof-of-stake algorithm called Ouroboros. New blocks within the blockchain are generated by slot leaders, an equivalent of traditional miners; reward for the computing power is the aforementioned Ada tokens. A prerequisite for being nominated as a slot leader is to hold a certain amount of tokens. The more tokens you hold, the more likely you will become a slot leader. The mining mechanism rewards people who have invested their money in the project. The previous text indicates that to be able to efficiently my tokens one must have a certain volume of tokens. Ada can be bought at various crypto exchanges such as Bittrex, Binance or Bitmexu. The only wallet to put your coins in it for the time being the official wallet Daedalus. As of 4 June 2018, the value of one ADA token was around USD 0.215, total market capitalization USD 5.57 billion.